According to Dr. Benjamin Ruby, whose Florida-based travel agency can help you chart a course across the U.S., any of these five locations – or Washington, D.C., Boston or New Orleans, which also made the top 20 – a worthwhile excursion. Enough with the introductions; let’s get on with the list! 1) New York City: Not surprisingly, the variety that New York City has to offer earned it the top spot in the 2017 ranking. Reasons to visit, according to the report, include a thriving arts community, small-but-essential businesses and ability to travel between borough for vastly different views of the city. 2) Philadelphia: Likely a little more surprising to most, Philadelphia’s second-place finish is an award in itself. Citing the significant role the city played during the American Revolution, visitors to Philadelphia also have a “a bumping nightlife, beloved sports teams and a thriving restaurant scene” to immerse themselves in. 3) Oahu: Honolulu, the capital city of Oahu, “showcases the island’s urban appeal,” according to the report. However, traveling elsewhere across the island will give visitors a taste of beaches, hiking areas other aspects of nature not readily found on the mainland U.S.
4) Maui: For an all-inclusive visit to Hawaii, then Maui is the right pick. That’s because it offers everything “impressive wildlife to intriguing history and culture,” according to the report. According to Dr. Benjamin Ruby, some of the attractions worth keeping an eye out for include hula dancers, sea turtles and the opportunity to play golf along the coast. Despite being located in the middle of a desert (the Mojave to be specific, and that’s going to become quite apparent after your arrival) Las Vegas truly is Nevada’s very own oasis. What that translates to is this: There is a fair amount to see outside of Las Vegas proper, such as the Hoover Dam, but we’re going to guess that the reason you flew here in the first place is to see the places that made Vegas so legendary. 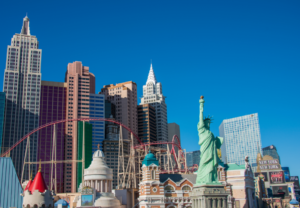 According to Dr. Benjamin Ruby, whose Florida-based travel agency can help you plan the perfect trip to Vegas, there are a number of “must-see” destinations for those headed west. You’ll find his picks for visitors to “The Strip” below, which are bound to dazzle and entertain visitors who’ve trekked to this world-class resort town for something not available anywhere else. More than gambling: The casinos of Las Vegas were wise to diversify their portfolio. Not everyone has an interest in gambling so shopping, eating and entertainment destinations are contained within. Want to take a gondola ride through a re-invented Venice? The head to The Venetian, where upscale shops are situated along a meandering waterway that cuts through the casino. Back to the roots: The casinos of Las Vegas actually got started on the other end of town along Freemont Street. Presently, what’s known as the “Freemont Street Experience” really lives up to its name. According to Dr. Benjamin Ruby, this five-block-long stretch contains all the glitz and glam of old Vegas — just updated with attractions like the world’s largest television screen and a zip line that shoots patrons down the street and far above the shoulder-to-shoulder crowds. Water works: Undeniably Vegas, The Fountains of Bellagio are a treat for the eyes and ears. These fountains are programmed to perform shows set to lights and music, with towers of water shooting many stories into the air. What’s more, the shows are free for anyone to stop and watch. Take time out to swing by the Bellagio during one of the frequent and regularly-scheduled performances. Regardless the time of year, New Orleans has proven itself as a tourism destination like no other. 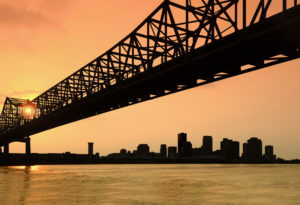 “The Big Easy,” as its affectionately known by locals and those who’ve traveled there and experienced its laid-back personality, is Louisiana’s premier destination for visitors thanks to its moderate weather, nightlife and historical attractions. 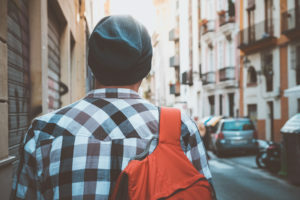 According to Dr. Benjamin Ruby, whose Florida-based travel agency can help with booking such a trip, it’s the latter that shouldn’t be overlooked by those seeking out a good time. Sure, everyone has heard of Bourbon Street and the Mardi Gras celebrations but we’re here to let you in on some of the more significant attractions that don’t involve a hangover or glittery beads. Trust us: It’s not macabre to think of the above-ground cemeteries when you think of New Orleans. Seeing as the city was built on a swamp, burying the dead beneath the marsh was impractical and just going to lead to complications later on. These “Cities of the Dead,” as locals call them, contain revered New Orleans natives and draw both tourists and city residents alike. No trip to New Orleans is complete without seeing how the dead are entombed here. Naturally, we must suggest seeing the sprawling campus of The National World War II Museum. This is America’s official museum that marks the greatest conflict of the 20th Century and it delivers. Uniforms, weaponry and documents from all sides of the conflict are on display for visitors to inspect at their leisure. According to Dr. Benjamin Ruby, a Florida-based travel agent who has decades of experience helping vacationers pick the perfect destination, both European and Pacific theaters of the conflict are explore in-depth and vehicles as well as aircraft are on prominent display. Tours are enhanced by audio and visual retellings from veterans as well atmospheric walks through the forests of Belgium or jungle of the South Pacific. While strolling around the city or riding around on one of the street cars, take time to consider visiting one of the many historic districts. From churches to businesses to residential homes, the styling of the 1800s are on display for visitors. Sites like the Gallier House and accurately-recreated 1850 House in the city’s French Quarter show off architectural highlights of an era gone by.